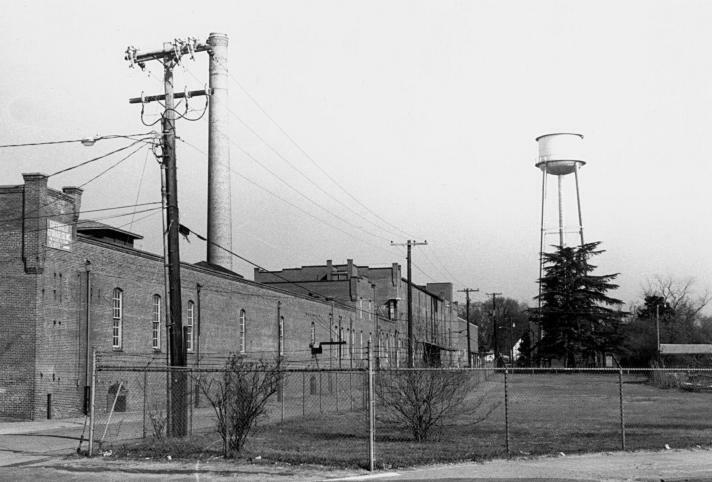 GREENVILLE, N.C. - The City of Greenville took another step toward the redevelopment of the site that formerly held the Imperial Tobacco Processing Plant on Thursday night. 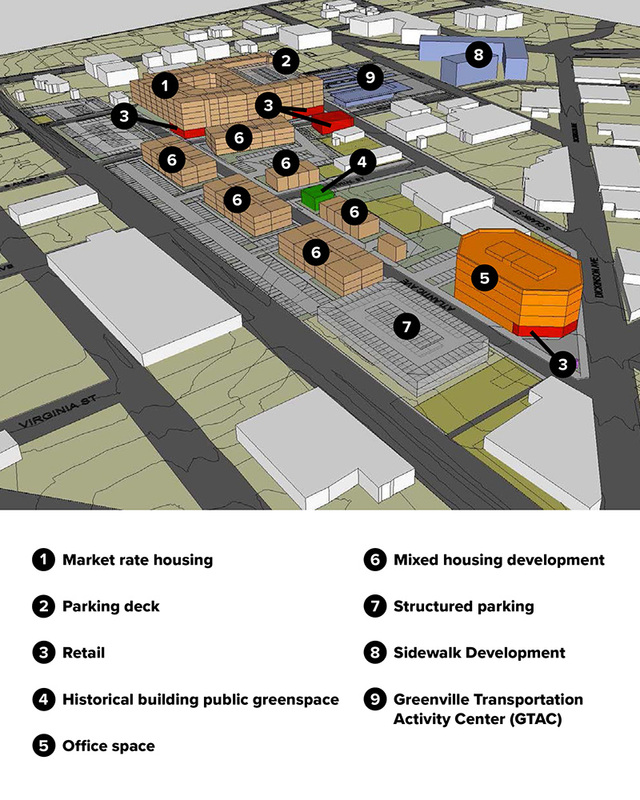 The City Council approved the conceptual design and financial analysis of the property, and the City will now move forward with the solicitation of developers who are interested in the property that is one of the primary targets in Greenville's downtown revitalization efforts. The Development Finance Initiative (DFI) presented to the Council a mix of residential, retail, office, and green space uses. Additionally, DFI went over infrastructure costs, public-private partnership strategies, and a solicitation process and timeline. The site is expected to attract approximately $68 million in private investments. Council approved the design by a 4-2 vote, opting for a scenario in which the City will take revenues from the development and put them back into the project in an effort to ensure some affordable housing is included. "Tonight, City Council took steps to rescue this once productive site from its current state of oblivion," Greenville Economic Development Manager Roger Johnson said. "The future development of this site is a win for everyone." Monday's approval of the design was the City's latest action in an extensive redevelopment effort that has included the purchase of the property and brownfields cleaning. Built in the early 1900s, the warehouse was home to the Imperial Tobacco Company until 1978. Twenty years later, there were plans to restore the structure. However, it was gutted by a fire on April 17, 2008. The result was multiple code violations, but the property's owner was unable to clean up the site due to a financial hardship. In 2012, the City applied for a $400,000 Brownfields Cleanup Grant from the Environmental Protection Agency to remediate the site. To qualify for the grant, Greenville had to own the 6.08-acre property. An agreement was reached, and the City purchased the property for $1 and retained ownership until the cleanup was completed. Under the agreement, the City had the option to purchase the property at $1.04 million following the cleanup. During its Planning Retreat in February 2016, the City Council approved a strategy to include seeking public-private partnership, and the purchase was included in the city's 2016-17 fiscal year budget. In September 2016, the City Council approved a contract with DFI. 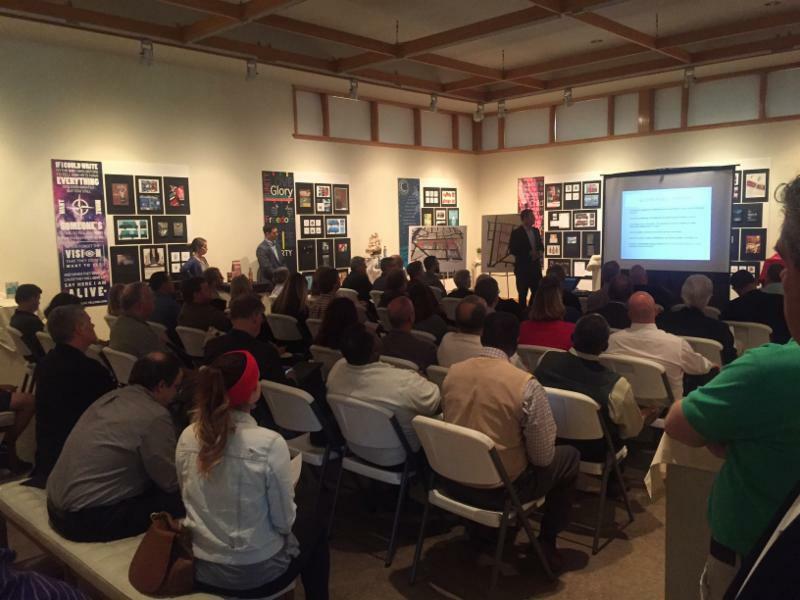 Following public input meetings and meetings with local developers and downtown property owners, DFI presented its guiding public interests to the City Council during its planning retreat in January 2017. DFI also conducted a market analysis for the residential, retail, and office sectors to identify projected demand for each use over the next five years. With Council's approval of the design, DFI will now begin calling brokers, developers, and investors to market master development opportunities and individual development pads. DFI will also work with City staff to organize site visits by interested parties. Once the process ends, DFI will provide an analysis of responses to City staff, reviewing all proposals and potential developers. City Council will select the development partner(s) following a recommendation by City staff. This process is expected to be completed by the end of 2017. Fore more information about the revitalization of the Imperial site or to schedule a site visit, call the City of Greenville's Economic Development Director Roger Johnson at (252) 329-4510.